The National Hay Association is the national trade association for the U.S. hay industry. The NHA works daily within the industry, federal agencies and Congress to create an environment that benefits hay merchants and the people who depend on hay and straw in their commerce. A non-profit organization, NHA’s activities are funded entirely through membership dues. 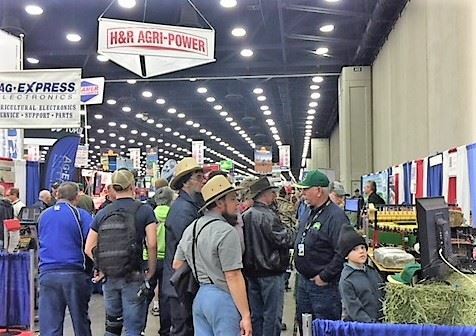 NHA proudly represents hay producers, brokers, dealers and consumers of forage products, as well as disciplines and activities of businesses that provide products and services to the hay industry. Why is National Hay Association (NHA) membership important? Hay is the only non-subsidized farming left in United States of America. Need for continual promotion of industry and new market growth. Educate the hay consumer and public about improved nutritional value and need for commercial hay farmers. Provide a united voice with government agencies and legislators on issues that affect the hay community. Connect with other members to increase professional knowledge and share information. Annual Membership Directory to help connect with hay community members throughout the nation. Professional trade booth to represent the community at several large venues through the year. Opportunity to meet and show your products to buyers and consumers at conventions and functions. Monthly news letter (Hay There) with opportunities to advertise products and receive the latest industry news.